If you’re looking for an all-over work out that will target and strengthen both your arms and legs at the same time then you should consider the benefits of using a cross trainers. The cross trainer is the work horse of the gym, but it is also a piece of equipment that many regular gym goers don’t use very often. Maybe now is the time to reconsider! If you love to run, but find that long distance running is starting to have a negative impact on your knees, then the cross trainer could prove a viable solution. The body benefits of working out on a cross trainer are very similar to jogging, but without the stress on your joints and muscles. The reason that using a cross trainer is more gentle than pounding the pavement is because, on a cross trainer, your feet never leave the pedals. That means that you won’t be repeatedly placing all of your body weight on first one knee, and then another. In fact, the repetitive movement involved in using a cross trainer could actually help to strengthen your bones and increase your muscle density, meaning that your better equipped for everyday movement. Your body will be stronger and better equipped to handle the challenges of aging and general wear and tear. Having a piece of gym equipment in your home may feel like a decadence, but it could actually help you to increase the regularity and intensities of your work outs, particularly if you often feel too time-poor to head to the gym. The good news is that the cross trainer is one of the most affordable pieces of gym equipment you could opt for, whilst also offering a whole body work out. That makes it the idea piece of equipment to bring into the home. You’ll be amazed at the change your experience to your fitness levels and to your routine when you have the ability to work out with confidence, without even having to leave the house. Much of the focus in the modern gym seems to be on building upper body strength and, unfortunately, leg days are often skipped or forgotten. This can often result in an unappealing and unbalanced look. The good news is that cross training is ideal for building up leg muscles, because it is a machine that exercises every muscle in the lower leg. If you want to target your glutes then the foot pedals on most machines will let you pedal backwards, ideal for targeting those muscles and ensuring that your legs look and feel as muscular and strong as possible. No matter what your current fitness level, the cross trainer is safe and easy to use. You set the speed and you set the pace, so if you’re not used to high intensity work outs then you can just start slow. As your fitness levels improve you can introduce bursts of high impact, high intensity training and then drop the pace again when you’re ready: nobody sets the pace but you. 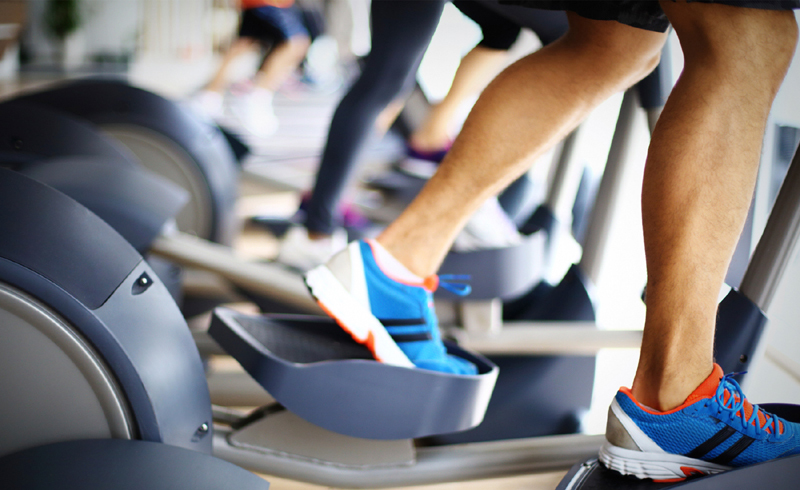 What’s more, because the amount of resistance on the cross trainer will determine how hard it is for you to keep your feet moving, and keep the momentum going, it is incredibly safe to slow the machine down and to stop whenever you want to. The speed, the intensity, and the slow down are all determined by your own movement. Want to stop the machine? Then stop moving! It really is that simple, and that safe, making it the ideal machine to have at home.